Podofilox is a treatment method for genital warts. 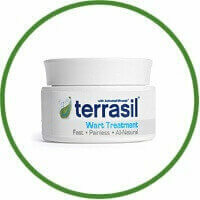 It is available in the form of gel or lotion which can help remove the warts by stopping the cell growth. Normally, this resin is not recommended for use at home and would be applied by the doctor. The doctor would use Vaseline to protect the surrounding tissue near the warts to avoid any irritation. The resin would be applied and would have to be removed within 4 hours to avoid any side effects. Usually, the resin would be applied once every week for around 6 weeks or till the warts disappear. Podofilox gel or lotion can be used at home, if suggested by the doctor. Normally the schedule would be twice each day for around three days followed by four days where the resin is not used. This schedule has to be repeated for around four weeks. The podofilox resin is effective for removing genital warts. This resin is more effective for moist skin rather than for dry skin. Studies have found podofilox to be effective for cleaning warts. It may have side effects in certain cases. Podofilox is not to be used during pregnancy. Podofilox resin can be effective in up to 77% people. However, the warts may return after the treatment. The podofilox gel or lotion can be effective in up to 88% cases. For the podofilox resin, some of the side effectives are skin irritation which can include swelling, itching, pain, redness and burning. Complications from podofilox resin are quite rare. In most cases, the complications are more likely when the resin is applied to larger areas, when it is applied to areas that are already irritated or swollen and is left on for more than 12 months. The side effects from the lotion and gel are milder when compared to resin. The resin can be applied by a doctor so the right amount can be applied and the medicine can be carefully monitored so that the side effects would not be very serious. For home application, use Podofilox gel or lotion. The resin, gel or lotion is not recommended for use during pregnancy since it can be harmful for the foetus. Patients should know that genital warts can go away on their own without any treatment as well. Also, the treatment of genital warts cannot really cure the HPV virus itself. This virus can remain in the patient’s body in an inactive warm even when the warts have been removed. A person who is treated for warts can still spread the infection and for that reason, use of condoms is very necessary. 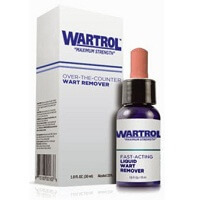 There are several different types of treatment methods available for genital warts today. The doctors would be able to best suggest which medicine would be suitable for every case.